Если Вам интересно узнать, что было в данном интервью, то существует русская версия. Do you want to see Spock? Do you want to feed the tribble(don't do this )? Do you want to fly into the deep space? If all answers are "yes" then you, most likely, a fan of «Star Trek». If you don't know about the «Star Trek», so it's not big deal, enjoy to the reading. A big hello across the pond to our friends at MMOgaming.ru! My name is Daniel Stahl and I’m a Producer on «Star Trek Online» and very excited to answer your questions about «Star Trek Online». Mmogaming.ru: Will any kind of plot be realized in the game? Any plot missions? Daniel Stahl: Working on a «Star Trek» game is wonderful because there is a vast library of stories which many fans of the films and TV series are familiar with. When making the stories that take place in «Star Trek Online», we often find inspiration from past episodes. Much of your career as a captain will involve missions tied together to form Episodes that you take part in. Each episode represents 45 minutes to an hour of game play, similar to a TV episode. Some episodes are part of a larger story arc that unfolds as you progress through the game. Mmogaming.ru: Will there be anything like crafting things in «STO»? In the future, if you need something, you replicate it. Hopefully the next time you find a planet with a medical dilemma, you’ll have enough replicator rations on-hand and enough knowledge to make the medicines they need. That is more in line with what crafting will be like in the «Star Trek» universe. Also keep in mind that Starfleet has a mission to explore strange new worlds and seek out new life and new civilizations. At some point you need to do that and return with what you find. Mmogaming.ru: Will player have an opportunity to board other starships and if yes how how will this happen? Daniel Stahl: Players will have many opportunities to board other starships, whether it is to launch an investigation, recapture a Starfleet vessel, or rescue a kidnapped diplomat. An example of this is one of the very first missions in the game where you board the transport ship Azura to rescue her crew and beam them to safety before their warp core breaches. Mmogaming.ru: Everybody is interested in the possible consequences of death. What penalty will be imposed on a character after death (will you be found in medical room)? Daniel Stahl: Player death in video games has never really been realistic since the days of the coin-op arcade when a single coin granted you 3 lives. MMOs are no different in that we want you to feel challenged when playing the game, but we don’t want your characters to permanently «die» and put a giant «Game Over» on the screen. An example of how we handle death is that when your character sustains enough damage, they fall to the ground unconscious in the hope that an away team member will resuscitate you. If they do, then you are back up and in the thick of it. If they don’t, then you’ll be sent back to the last checkpoint on the map along with your NPC away team. Mmogaming.ru: Are you planning to carry out themed and time specific events? Daniel Stahl: In the «Star Trek» TV series, they discovered that there are a lot of hostile entities roaming the galaxy. We certainly hope to surprise a few players with something they didn’t expect as they patrol Federation space. We also hope you’ll get to see fun Star Trek themed events that may remind you of some of your favourite episodes. We hope everyone is very familiar with the hazards of feeding Tribbles. Mmogaming.ru: The previous developer announced there will be a voice chat and visual chat in the game apart from common chat. Is that information still topical? Daniel Stahl: Players tend like their full featured 3rd party voice chat programs and most established gaming guilds have a dedicated server setup for this already. We’re not going to build yet another integrated voice chat solution. Most of the players that want it already have a better option. Mmogaming.ru: What level is the full cap level? How much time will an ordinary player need to spend to achieve this level? Daniel Stahl: Instead of levels, «Star Trek» is more of a skill based game where you level up skills and gain ranks with Starfleet as you advance which unlocks more functionality, better equipment, and better ships as your career advances from lowly Ensign up to and including Fleet Admiral. Even once you’ve proven yourself to Starfleet, there is still your crew to consider. Just as you’d expect in «Star Trek», the captain is responsible for teaching and training the wide range of skills and tactics that the crew will need in order to advance their individual careers. Most ordinary players may never take the promotion to Admiral and be content with roaming the galaxy in their Miranda class. It really is up to the player how much time they want to invest in improving their ranks. 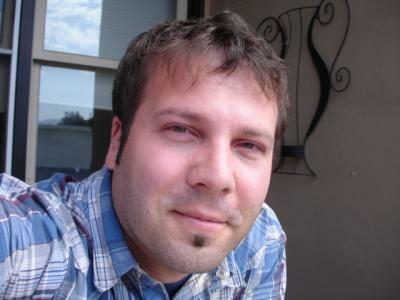 Daniel Stahl: «Cryptic Studios» has a well established history of providing content updates to players as the game progresses. 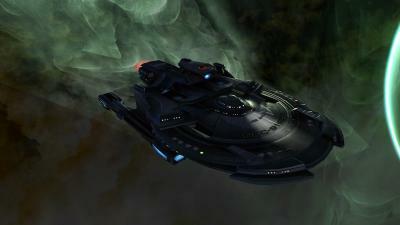 «Star Trek Online» already has a plan for updates that will take place after launch. We aren’t ready to talk about those just yet. Our eyes are on launching that game at this point. Mmogaming.ru: Will there be any pets in STO? Daniel Stahl: You could look at that question in a couple of ways. If you consider that your Bridge Officers are in essence MMO pets that you train and level up, then absolutely everyone has pets. If you are asking whether or not you’ll be able to have a pet Tribble, the official answer is – maybe. Mmogaming.ru: Will the «STO» world be the union (raid of servers) or will it be separated for some servers (As in Lineage 2, WoW and other MMO) ? 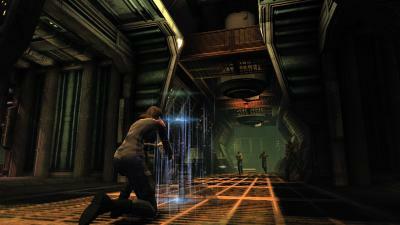 Daniel Stahl: «Star Trek Online» will be in one big universe where everyone is on the same shard. We’ll have limits to how many players can be at the same location before it instances off into a copy, but you’ll be able to quickly find your friends no matter where they are. Mmogaming.ru: Big thanks to you for the interview. I wish you every launch and test «STO» success! Daniel Stahl: Thank you again for the opportunity to answer your questions. We look forward to seeing everyone in game and if you haven’t signed up for Beta yet, go to www.startrekonline.com and send in your application. Big thanks to Chris Clarke for assistance. Мы отстроили реальный мир, превратив его в убожество, теперь отстраиваем виртуальные, надеясь на лучшее...(с) FA.